Why Doesn’t a Water Heater Rust? Tank water heaters are designed to last for many years, and if properly treated, can provide hot water on a moment’s notice throughout your Olympia, WA home. You may wonder why your tank doesn’t rust after all those years, and indeed if rust appears there’s usually something very wrong. Rusty water in your faucet means there’s rust coating the inside of the tank, and tank breaches usually mean you have to replace the entire water heater. So why doesn’t a water heater rust? In other words, why aren’t you dealing with issues like rust in your water on a weekly basis? The answer lies in one of the water heater’s most important components: the anode rod. Posted in Water Heaters | Comments Off on Why Doesn’t a Water Heater Rust? Your water heater is one of the most important parts of your home, and yet we rarely pay any attention to it until serious trouble arises. You can prevent a lot of problems with your water heater by scheduling a regular maintenance session from a qualified plumber, and here in Olympia, WA, you have an expert company you can turn to. But it helps to understand what goes into water heater maintenance and why that can help yours function at its best. Here are 3 crucial parts of water heater maintenance that every servicing session should involve. Water heaters often do their jobs quietly and without a fuss, and unless some major disaster befalls it, we don’t tend to think much about them. That can make it hard to determine when your old water heater is ready to be put out to pasture. With good maintenances, a water heater can be expected to give you many years of faithful work, but everything wears out, and sooner or later you need a reliable service to install a new one. Here in Olympia, WA, there are services who can perform the job with professionalism and care, but you still need to call them when the time has come. “When should I replace my water heater?” you ask. We’ve included a quick list of tips below. If you’re a homeowner in Olympia, WA, you probably have a traditional tanked water heater in your home. But why they do yeoman work, they’re not the only type of water heater out there. Tankless water heaters get rid of the bulky tank in favor of heating the water directly as it flows through the pipes toward your faucet or shower. The model offers a number of benefits over tanked models, though in some aspects, tanked water heaters do better for you than their tankless counterparts. Tanked vs. tankless water heaters: which is better? We’ve provided a quick breakdown below. Your water heater is one of the great unsung heroes of your household, tirelessly doing its job year in and year out without complaint. That lets a lot of homeowners take their water heater for granted, which can catch them by surprise when problems arise. That doesn’t need to happen to you. In Olympia, WA, trained professionals are on hand to help repair any problems with your water heater quickly and efficiently, and when you spot the signs that you need water heater repair, you can call them in before it becomes a major issue. Here’s a quick list of red flags you should keep an eye out for. 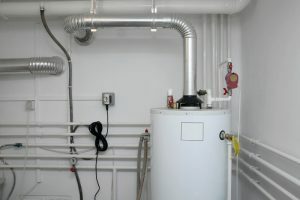 Mention the term “water heaters” and most people tend to think of traditional tank models: the giant tubes in our basement or closet tasked with providing hot water for the household. Though they can do the job efficiently enough, they’re not the only options out there. 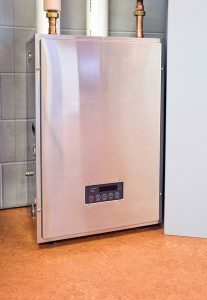 Here in Olympia, WA, tankless water heaters can be installed by trained professionals, and though the cost of putting one in can be greater than a new tank model, the advantages often greatly outweigh the additional costs. If you’re looking at installing a new system, here are 3 benefits of tankless water heaters that you should be aware of while making your decision.